And that’s a literal quote from the movie. The implication is clear: our tax money – $25 billion of it – is being spent on promoting overfishing. Where does the figure come from? Rashid Sumaila is a Canadian resource economist who has gained a big reputation with his work on game theoretic analyses of fisheries and big, global-scale analyses of fisheries subsidies. If anyone knows about the global scope of fisheries subsidies it is him; the $25 billion in The Black Fish’s movie is based on his 2010 article in the Journal of Bioeconomics. Interestingly, the article does not only give an estimate of the total amount of subsidies, but also distinguishes three types of subsidies: beneficial subsidies, capacity-enhancing subsidies, and ambiguous subsidies. The distinction is based on what the subsidy does to the resource stock: does it lead to bigger (beneficial) or smaller (capacity-enhancing) fish stocks? This criterion is fairly easy to apply and interpret, but it also leaves some issues out of the discussion, as we will see later. Beneficial subsidies contribute to the resource stock, and include such expenses as monitoring programmes, research for stock assessments, and establishing MPAs. Their total amount is about $8 bln. The article does not ask the question whether this should all be funded by tax money. The rule of thumb should be: subsidize public goods, but let the users of the public good pay whenever possible. As a fish consumer I’m willing to contribute (through a higher fish price, ideally) to a responsible management of our fish stocks, but I’m not sure I agree with sending the bill to those who have no stake in it, like vegetarians (or principled meat eaters, for that matter). The exception may be MPAs, which provide more public goods than just more fish (which is not as clear-cut as it seems, by the way). This includes tax-payers’ money spent on enhancing fishers’ capacity to deplete fish stocks, like public money spent on port development, fleet renewal, and price support. With $16.2 bln this is the largest category. By far the largest type of capacity-enhancing subsidy (or any kind of fishery subsidy) are fuel subsidies: every year a whopping $6.4 bln is spent to lower the price fishers pay for their fuel. Sumaila et al.’s definition of fuel subsidies is interesting: they define fuel subsidies as the difference between what fishers pay for their fuel and what other sectors pay for the same fuel. This means that (partial) tax exemptions, like the red diesel that The Netherlands until recently had, are included; however, blanket fuel subsidies, like those in Indonesia, Nigeria, and Egypt, are not. I don’t know how the authors categorize subsidies for more selective, or low-impact fishing gear, such as the pulse trawl. It must have been difficult to identify exactly on what kind of innovation or renewal a subsidiy is spent, so I suspect the authors have filed this as capacity-enhancing. You could also argue that port development is simply an investment in infrastructure, which is a public good. The government also builds roads, railways, and glass fiber networks, why single out port infrastructure as a subsidy to fisheries? Moreover, is port development bad if fish stocks are healthy and well-managed? For researchers this is the most interesting category because its effect is unclear. Buyback subsidies, for example, may reduce fishing capacity on the short term, but on the long term the effect is less clear-cut. The vessels bought may go to other countries at dumping prices; fishers may also anticipate future buybacks when deciding whether or not to invest in new fishing capacity. Ambiguous subsidies amount to about $3 bln. Do tax-payers spend $25 bln on overfishing? Now I’m confused. 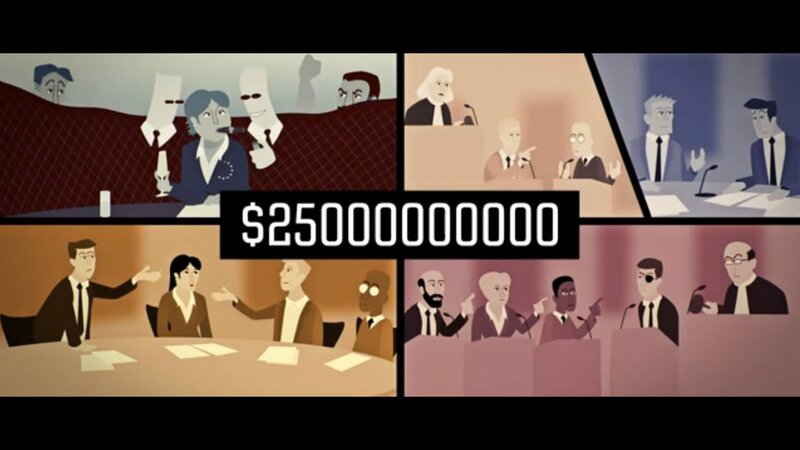 $8 bln + $16.2 bln + $3 bln = $27.2 bln, not $25 bln as the movie states. The article’s abstract, however, estimates the global amount of subsidies at between $25 bln and $29 bln. Does The Black Fish prefer to give a conservative estimate, rather than the best estimate according to the article? But then why lump together scientific research and establishing MPAs (which I cannot believe The Black Fish would oppose) with fuel subsidies (which are undoubtedly wrong)? Call me a snob, but I’ve never cared much for the music you hear on everyday radio. I don’t know what it is. I prefer the grinding doom of Ufomammut and the richness and purity of a skilled traditional fiddler to the polished one-size-fits-all music mostly served on prime time. 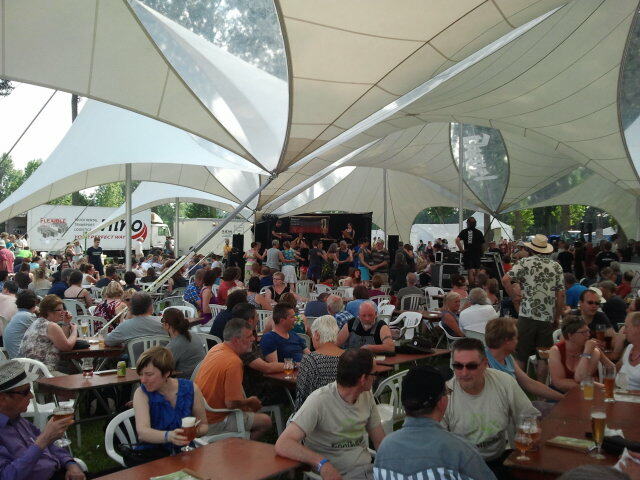 So while around 80,000 pop music lovers were sweating away in a simmering Rock Werchter, I was one of the 5,000 folk music lovers enjoying the atmosphere, the music, and the local lambic beer at the Gooikoorts festival. I discovered traditional music (like many of my generation) through The Pogues. While attending college I spent four months in Ireland, going after the local folk music with my guitar and buying a cheap and crappy mandolin. Years later the Saint Chartier festival was a revelation to me: all those musicians, all those dancers, all those instrument makers, in such a small village! As soon as I came home I hung the mandolin on a wall and bought a fiddle. The fiddle’s been with me ever since. Slowly the Saint Chartier festival gave way to Gooikoorts, which feels like a much smaller and friendlier version of Saint Chartier with even a higher degree of joie de vivre. In Dutch I would call it “Burgundian”, a term that refers to the days when present-day Belgium, Luxemburg, and The Netherlands were part of the Duchy of Burgundy, but also to the stereotype of a people that loves the good life. Gooik is a small village (about 9,000 inhabitants) in the Pajottenland, southwest of Brussels. The region is famous for its mattetaarten (cakes made from cream and buttermilk), but even more famous are its unique beers. Unlike most beers, where carefully selected yeasts convert the sugars to alcohol, geuze and lambic get their fermentation bugs from the open sky. 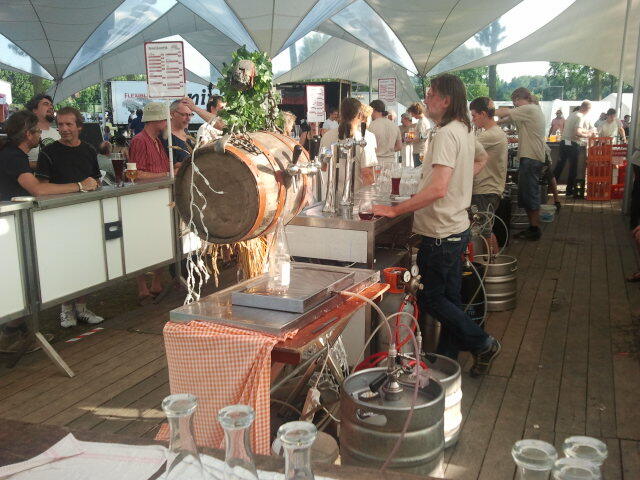 The beers are an acquired taste: deeply sour, and in the case of lambic not a single bubble of carbonate. But once you get used to the sourness you start appreciating the tones of apple and oak not found in any other beer. Many brewers from other regions, from West-Flanders to the United States of America, have tried to imitate the process by taking samples from the Pajottenland air, but so far they haven’t been able to beat the real thing. You need the right mix of micro-organisms, especially Brettanomyces bruxellensis, which is a bacterium unique to the region. 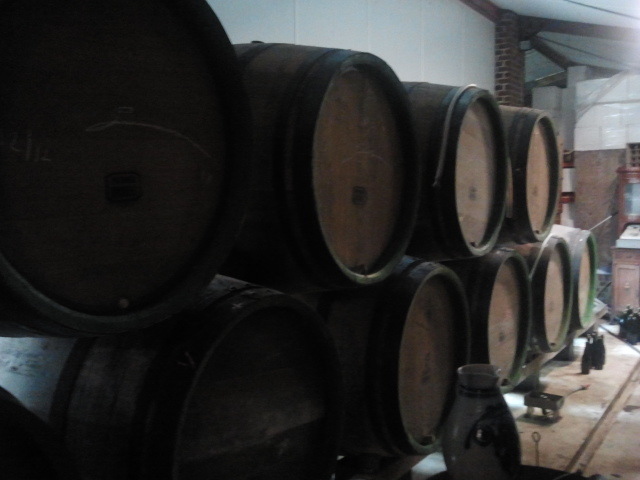 Real geuze and lambic can only be brewed in the Pajottenland, and nowhere else. Since 1997 Gooik has its own geuzestekerij. “Steken” is a local term for blending, so a stekerij is a place where geuze is matured and blended, but not brewed – they get the wort from other breweries and mature and blend it in Gooik. I finally had the opportunity to visit the geuzestekerij and buy some bottles of the stuff. The place is crammed with 200-year old oak casks where the beer matures, soaking in the oak flavour as well as more germs. The beer matures for 3-6 years (“1 bottle = 3 years work”, the label says) and is then blended to oude geuze or mixed with fruit. What struck me was the dedication to tradition of the people working in the stekerij, but also its international appeal. Just when I entered the building there was a delegation from Brazil tasting the local brew. The local brew and the excellent food are just two of the many factors that add to Gooikoorts’ Burgundian atmosphere. 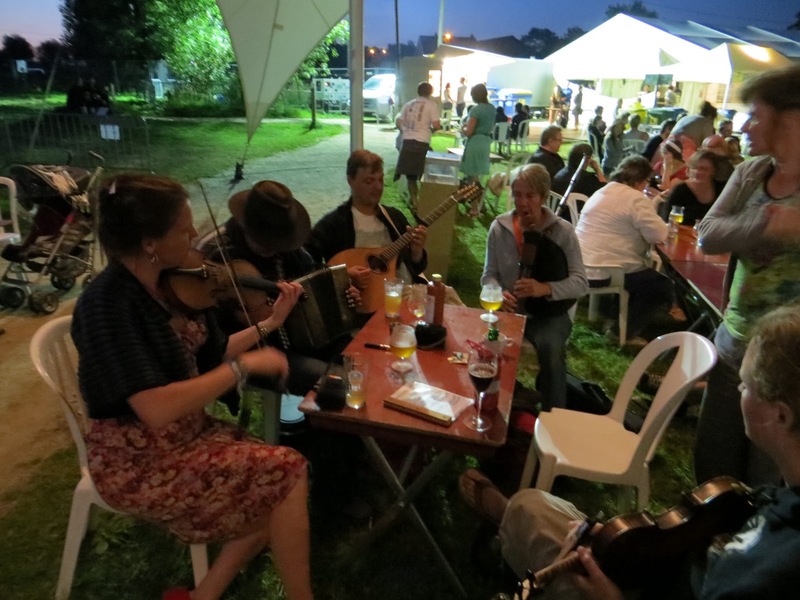 The bands play mainly traditional European folk, varying from strictly traditional Flemish folk songs, to jazzy interpretations of French dance music, to mixtures of Finnish polka and bluegrass. All generations are present: young parents with toddlers in their arms, teens with hormone-driven chutzpah, pensioners with an open mind. For me, the greatest enjoyment was to meet old friends, and to grab the fiddle and play. Ten years ago, at the first edition of the festival, we would play until the sun rose, sleep a few hours, and party on. Now most of us had kids, a demanding working life, or both, so we took it easy. And easy is how you take Gooikoorts. Confusing Nemo (1): How much is too much? The latest FAO report on the State of the World’s Fisheries and Aquaculture (SOFIA) on this states that the amount of fish captured in marine areas is indeed around 80 million tonnes each year. I suspect, however, that this only includes the recorded landings: figures on discards and illegal landings are probably too shaky to be included in these figures. So catches might actually be higher. The declining global catch over the last few years together with the increased percentage of overexploited fish stocks and the decreased proportion of non-fully exploited species around the world convey a strong message – the state of world marine fisheries is worsening and has had a negative impact on fishery production. In other words, the fact that slowly the number of overexploited stocks is increasing while catches stabilize or decline should, according to the FAO, be taken as a bad sign. For about two-thirds of the examined stocks (63%), biomass (B) has dropped below the traditional single-species management target of MSY, that is, B < BMSY. About half of those stocks (28% of total) have exploitation rates that would allow for rebuilding to BMSY, that is, u < uMSY, whereas overfishing continues in the remainder (u > uMSY in 35% of all stocks). Since the 1990s, Iceland, Newfoundland-Labrador, the Northeast U.S. Shelf, the Southeast Australian Shelf, and California Current ecosystems have shown substantial declines in fishing pressure such that they are now at or below the modeled uMMSY. However, only in the California Current and in New Zealand are current exploitation rates predicted to achieve a conservation target of less than 10% of stocks collapsed. So is the 80 million cited in Losing Nemo accurate? It seems so. Is 80 million too much? For the short run it also seems so, but on the long term it is more difficult to say. As Worm et al. state, it is still possible to rebuild stocks, and we can only do so by catching less. So far I haven’t found any figures on how productive world fisheries stocks could be if we managed them well: 70 million tons? 90 million tons? In any case, things are moving in the right direction as the exploitation rate is slowly declining in most, albeit not all fishing grounds. I promised myself not to write this post. I’m sure not everybody will agree with how I redefine some of the terms commonly used in economics, or perhaps more broadly in philosophy of science. But doing so gives me a framework that I find quite helpful to map a disciplinary field. Assessment: how bad is the problem? Diagnosis: what causes the problem? Objective: what is the best possible improvement? Prescription: how can we realize the objectives? I know the boundaries between these four quadrants are not perfectly clear-cut either. If you do cost-benefit analysis you may need to do some non-market valuation (Quadrant 1), but you will make recommendations on which policy alternatives are more desirable (Quadrant 3 – or is it 4?). You can only set objectives (Quadrant 3) properly if you know how to achieve them (Quadrant 4). That’s why I prefer to call it a map, rather than a classification. And as such I find it a helpful model to understand how different strands in the literature fit together. What is the economic value of a coral reef? How much tourism value is being lost by jellyfish outbreaks? What are people willing to pay for whale conservation? How do social norms evolve in common pool resource management? When will countries cooperate in international fisheries management? How do fishers decide how much and when to fish? What is the optimal harvest rate in an uncertain fishery? What is the optimal spatial allocation of shrimp farming and mangrove forest in a coastal zone? What is the optimal management strategy of an invasive species? How do ITQs perform in a mixed fishery? How can we design effective PES schemes? How will a ban on discards affect a fishery?